LOS ANGELES (March 11, 2014) – SAG Awards® Committee Chair JoBeth Williams today announced the key dates for the 21st Annual Screen Actors Guild Awards® , including dates for nominating committee selection, award submissions, the nominations announcement and media credentialing. Celebrating the outstanding performances in film and primetime television of 2014, the Screen Actors Guild Awards will be presented in a live simulcast on TNT and TBS on Sunday, Jan. 25, at 8 p.m. (ET), 7 p.m. (CT), 6 p.m. (MT) and 5 p.m. (PT). Nominating Committees Selection: The SAG Awards’ separate film and television nominating committees are randomly selected anew each year. SAG-AFTRA members from around the country who have not served on the same nominating committee in the past eight years, who are actor/performers, singers, dancers or stunt performers and who have paid their November 2013 membership dues by February 27, 2014, will be eligible to serve on one of this year’s committees. Each committee is comprised of 2,200 SAG-AFTRA members. This year's committees will be drawn on Friday, March 14, 2014. Submissions for nomination consideration for the 21st Annual Screen Actors Guild Awards will open on Monday, July 7, 2014, at sagawards.org/submissions . With the actor’s permission, producers, studios/networks, agents, managers, or publicists may submit a performance from 2014 for consideration in a category of the actor’s choosing. Actors may also submit their own performances. Submissions may only be made online, in keeping with a commitment to environmentally sound practices that has earned the SAG Awards the Environmental Media Association (EMA)’s Green Seal for five consecutive years as well as EMA's prestigious Green Production Award in 2013. Nominations for the 21st Annual Screen Actors Guild Awards will be announced on Wednesday, Dec. 10, 2014, carried live on TNT, sagawards.tntdrama.com and tbs.com .  Once nominees are selected, all active members of SAG-AFTRA living in the United States may cast votes to determine who will receive the coveted Actor® statuettes for this year’s outstanding performances. Credential applications for the nominations announcement open for media and publicists on Wednesday, Oct. 1, 2014 at sagawards.org . Of the top industry honors presented to actors, only the SAG Awards are selected entirely by performers’ peers in SAG-AFTRA. The SAG Awards was the first televised awards show to acknowledge the work of union members and the first to present ensemble and cast awards.